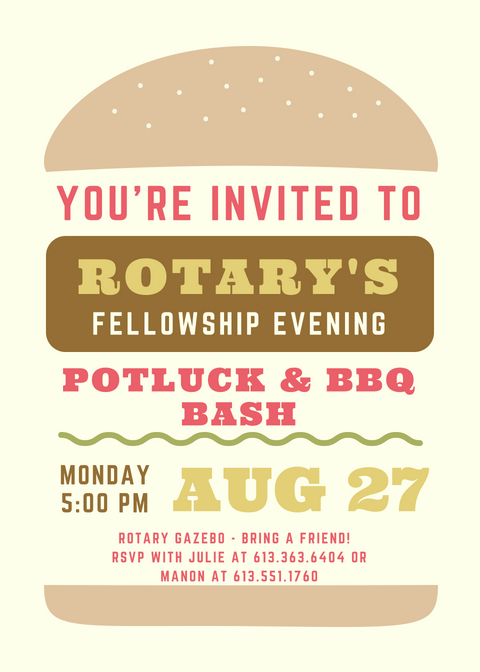 Join us on Monday, August 27th at 5:00pm at the Rotary Gazebo. To honor the spirit of sharing and community, the meal will be Potluck style. Please bring your favorite dish. We hope to see you there for good food and friendship.